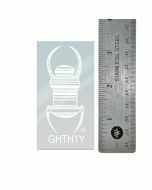 Instantly make anything trackable with this large 6.75" reflective Travel Bug® decal! This large size reflective decal works perfectly on a car or other vehicle and is designed to be placed on the outside. This decal is approximately 6.75” x 3.0". Every Geocaching Travel Bug® tracking number gets its own page on geocaching.com where you can keep track of its movements or discoveries. 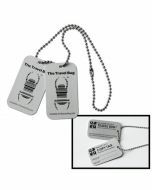 To learn more about the Geocaching Travel Bugs® click here.